Like good pop culture references to iconic sass-gal sheroes? How about over-the-top costumes infused with glam, fash and fun? Us too. 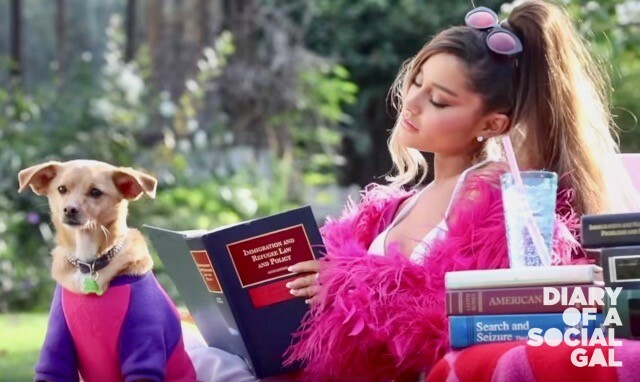 Which is why we, in DiaryLand, can’t get enough of the recent THANK U, NEXT video by the she-always-gives-it-up-Grande, super-songstress ARIANA GRANDE. In fact, truth be told, I’ve watched the video about eight times now because, well, it’s just that rockstar. 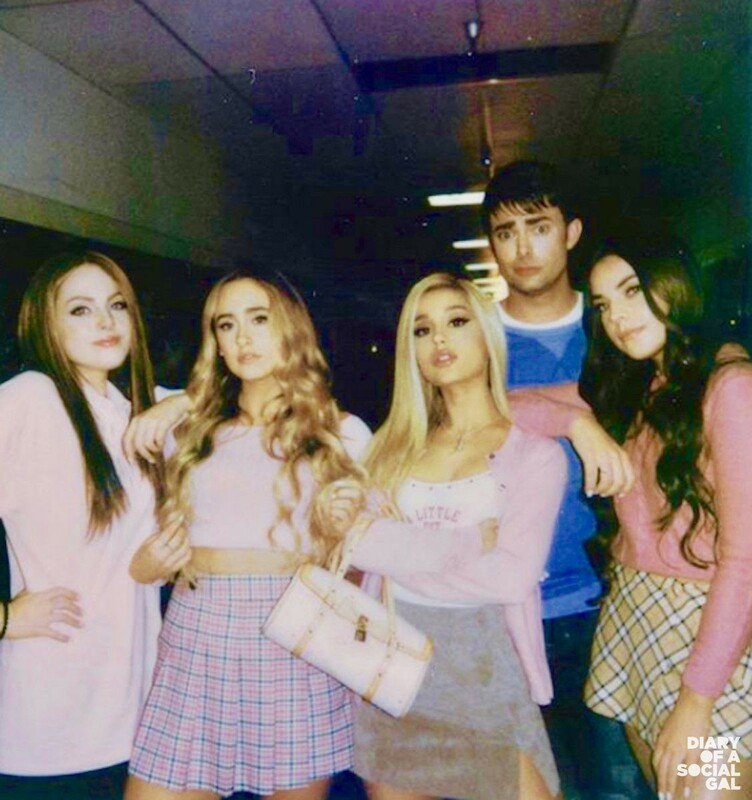 As a perfectly pinked up Ariana chats up body part “largesse” with screen-queen-iest manicurist Paulette Bonafonte (aka the sublime Jennifer Coolidge) you can’t help but laugh out loud and get lost in the eye candy. Second, the style optics. No, you’re not taking them seriously, and sporting the looks to a more formal real-life occasion, but you are mesmerized by the candy colours, bright pops of accessories and delicious girliness of it all; optics (love that word) that are such a complement (maybe counterpoint as well) to the honest and real lyrics ..
And yes the third point to be made here must celebrate the lyrics; smart, honest, and straight form the heart, you can feel layers melt away as the young protagonist shares her views on the phenomenon of exes. NOT TOO LATE TO WALK THE ZOMBIE WALK TODAY!